Having a customer relationship management (CRM) system in place is essential for entrepreneurs, startups and small businesses alike. It puts the customer at the heart of your operations and helps you nurture leads at every stage of their customer journey with you. This will lead to higher revenue, greater customer satisfaction, and a more effective workforce. But these days, a truly effective CRM system needs to extend out of the office and into the ‘field’. Many businesses are recognizing this need, with a huge rise in mobile CRM in recent years. 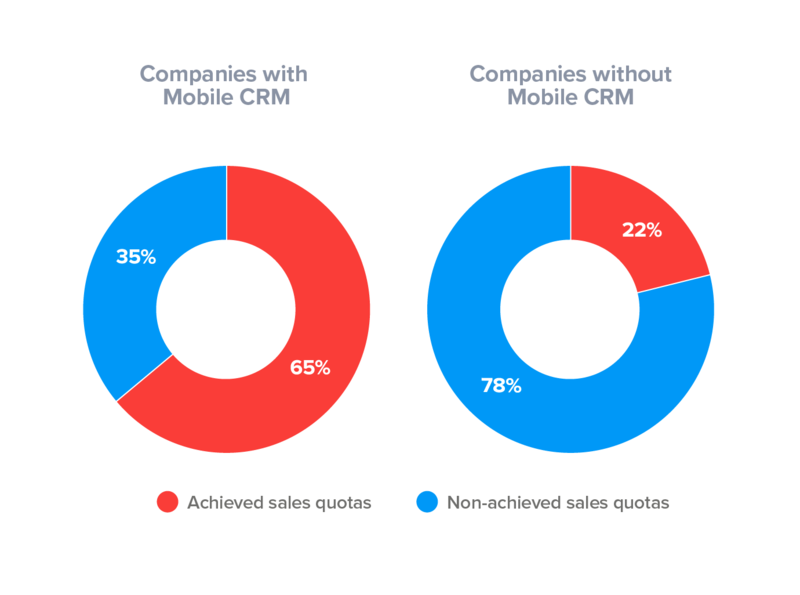 So now you’re on the same page as the many successful businesses who realize the potential of mobile CRM. But it wouldn’t be a hacks article if we didn’t give you some extra tips on how to drive home your advantage using mobile CRM. Before you can find a solution, you need to define the problem. Start with the customer. What is your ideal customer? 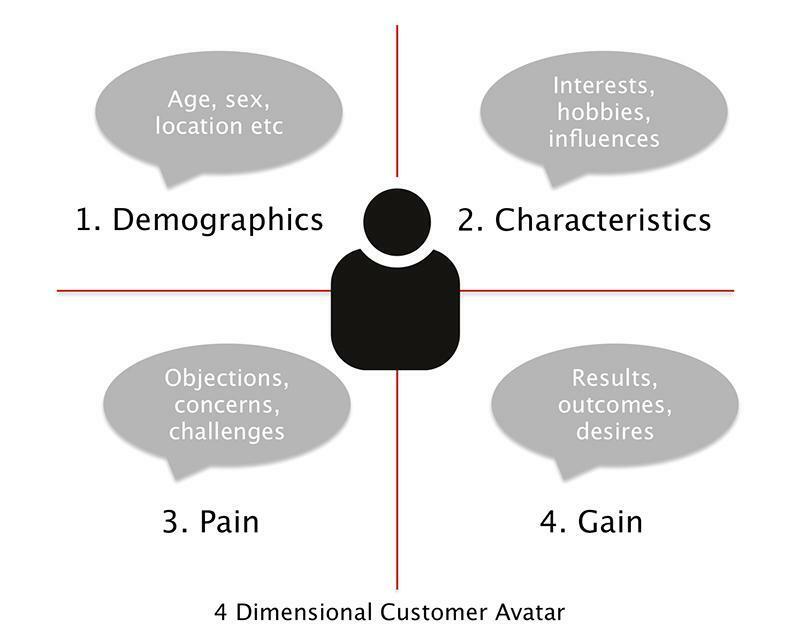 How does that ‘avatar’ compare with any existing data you have on your customers? Once you understand what your ideal customer looks like you can design a customer database that captures the essential information you need to nurture your customers and close deals. Follow-up is so vital to nurturing your customers. But this needs to be timed properly. Too soon and you’ll seem spammy or pushy, too late and your customers will have lost interest in what you have to offer. So take the time to work out when certain actions need to be motivated. For example, if you know a sales rep has had an initial meeting with a client, you may want to schedule a reminder prompting your reps to follow-up with the client the next week. Or perhaps 6 months after they make an initial purpose you might set a reminder for your sales team to call your customer about an upgrade, new product lines, or other features that may interest them. Plan out in advance what types of reminders go with which types of tasks, so that sale reps have a process for follow-up that fits the rhythms of your sales cycle and meets your customer’s needs. Mobile CRM gives you plenty of opportunities to make notes after or even during customer interactions. But there are ways to make these notes really bring you value. For example, there are lots of details that make customer interactions flow smoothly that it’s hard to capture in database fields. If the pronunciation of a customer’s name can be tricky (for example, ‘Sara’ can be pronounced in two different ways) make a note of the correct pronunciation. This will win kudos with Sara, trust me. Successful CRM is about understanding the specific nuances of your customers and communicating with them based on this knowledge. List segmentation is an essential way to break your customer database down into relevant sub-lists so that you move beyond a one-size-fits-all approach to customer interactions. For example, if you run a gym you might want to send women communications that relate to them, such as women-only exercise classes. You might, for example, create a list segment of people who have made more than one purchase in the previous year. 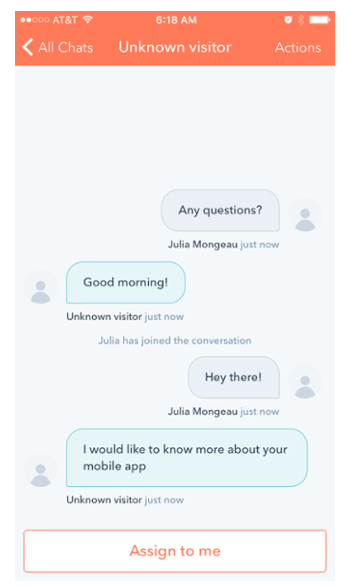 This might imply that they are on the road to becoming loyal customers, so you could send them messages that help nurture them into becoming brand ambassadors. Mobile CRM is often seen as a simplified version of desktop CRM, and in many ways it is. But to get the real advantage you need to make use of the functions that are much easier to perform on mobile than by other means. For example, mobile devices make taking photos and videos, and recording audio, extremely easy. This can be particularly useful when working in the field. You can then organize field reports by media type. For example, if you have a bunch of reps out visiting potential vendors, you can ask them all to take photos of conditions in the field. Some customers are greater churn risks than others. You should do your research to find out what demographics are churn risks in your industry. If we return to the example of the fitness industry, women are at a higher risk of canceling gym membership than men, often because gyms don’t tailor their services for women. Use your CRM to identify churn risks and develop campaigns that address those reasons. You can even assign tasks with at-risk clients to a more experienced sales rep, for example. 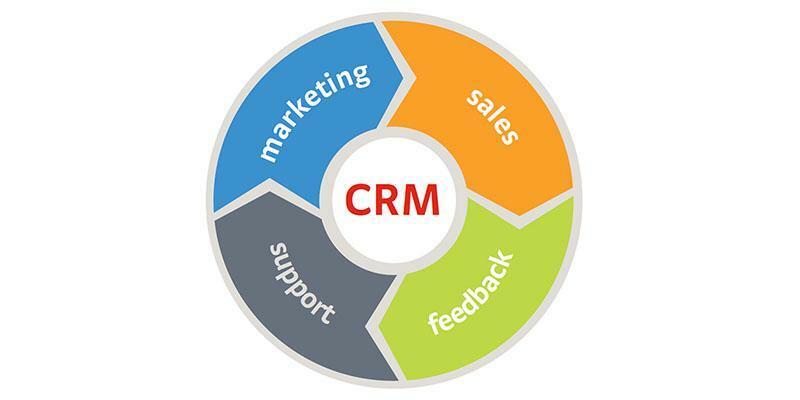 CRM tools are not just about dry data in spreadsheets. They can be a great way to help visualize your sales process. 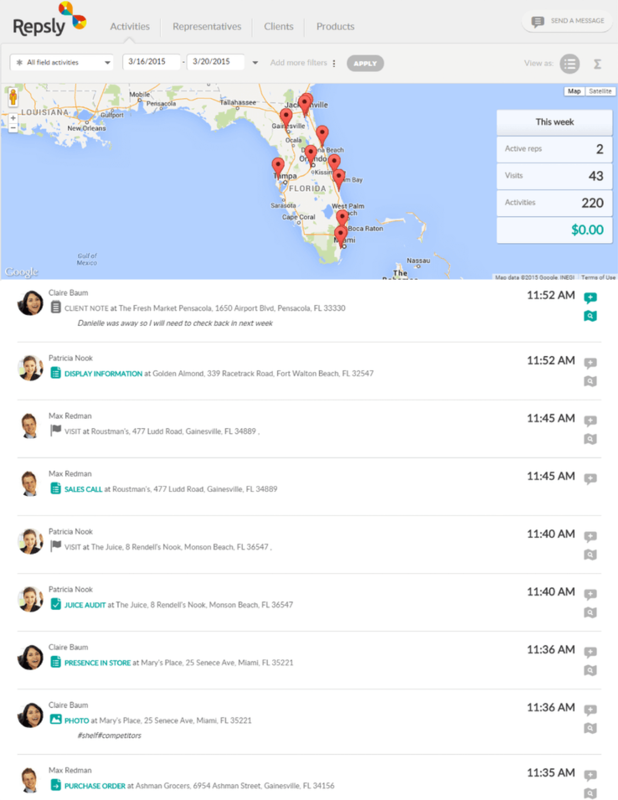 For example, you can use an app like Freshsales to help you visualize your sales pipeline. 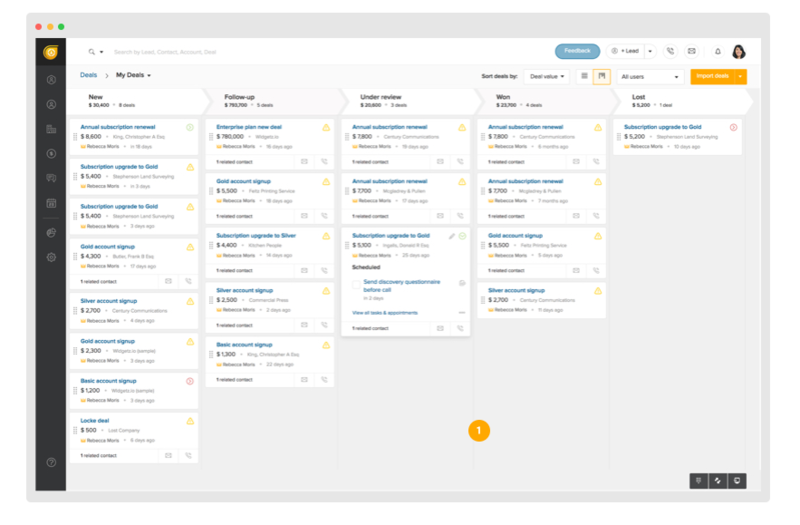 This helps you see the bigger picture in terms of how your sales process is going and lets you quickly zoom in on any problem areas that you need to prioritize. The trick with mobile CRM is to lean into the features that are best suited to mobile functionality. For example, mobile devices have GPS tracking so that you can map field activity to location. Mobile CRM apps like Repsly let you geo-tag sales activity, which is a great way to keep track of your sales process. 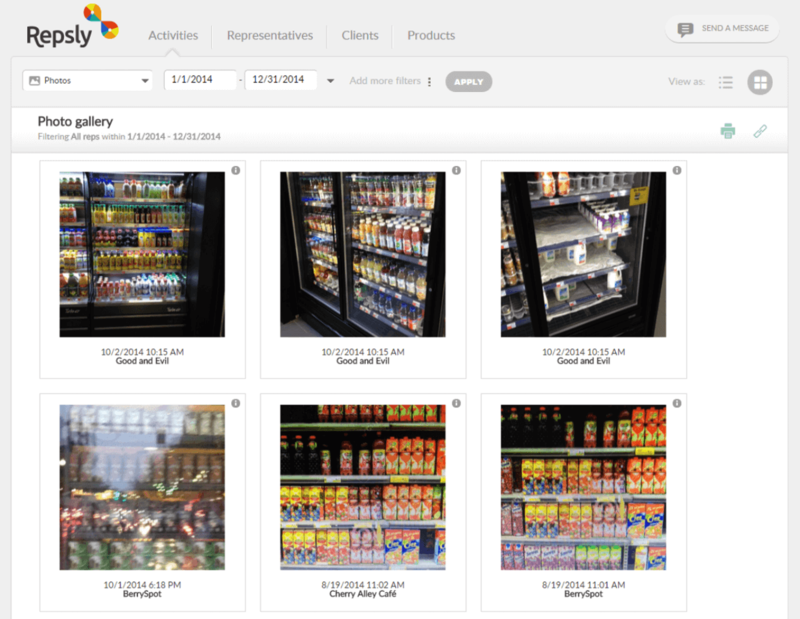 This, for example, allows you to look at a map and instantly see customer interactions as they happen, from photos to customer orders and sales calls. Use this kind of geographical mapping to help you see the bigger picture. Maybe there are areas of the country where more sales happen than others, or areas where there is less take-up. You can use these kinds of insights to help you develop marketing campaigns. If you’re not closing lots of deals in Manchester, you can run a targeted ad campaign targeting the Manchester area. Mobile CRM gives you an opportunity to take detailed notes from customer meetings. 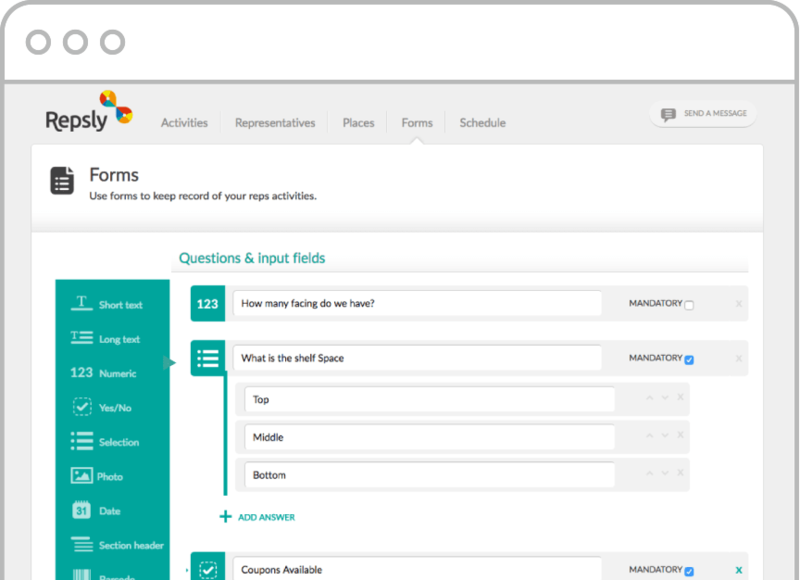 But you can make things go even more smoothly by customizing forms to work best for mobile. For example, don’t use a text box where a tick-box will do. It’s much quicker to capture data with a series of yes/no questions than having lots of open fields which can be hard to fill in from a smartphone. Also, if you require more in-depth data gathering you can encourage your reps to leave detailed voice notes that provide extra context to your data gathering. Mobile CRM means you can connect with your customers anywhere, any time. For example, the HubSpot mobile CRM app lets you take customer conversations on the road. The world of mobile is perfectly suited to the world of social media, with most platforms specifically designed with mobile interfaces in mind. When choosing a mobile CRM platform, look at how well it integrates social media into its system, as social conversations are so essential to lead nurturing in today’s digital savvy business environment. 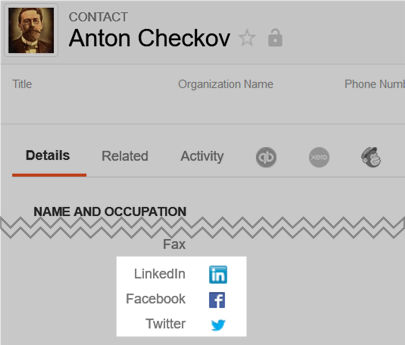 Insightly is a good app for combining social with mobile CRM. For example, when you add an email address to your contacts list, the app will search for all social media accounts associated with that email, and import profile pictures and URLs where appropriate. You’ve started with just an email but now you have access to customer social media profiles (only where they are publicly searchable). These tips should help you make the most of mobile CRM for your business needs. Each business has different CRM needs, so it’s worth trying out a range of CRM options before committing to one. Most CRMs have free trials available or are free with limited numbers of customers. So take the time to try them out. Remember that any system is only as good at the people who use it. So make sure you train your team on how to make the most of mobile CRM. 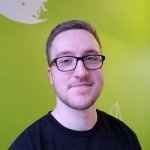 Send them articles like this to make sure you’re all on the same page, and consider asking if your team have any feedback on how to improve your CRM process to help make their roles even more effective.